The Sky Team will be aiming to take out Day 1 of the Herald Sun Tour. But who of their men is being groomed as the winner? (Image: Sky). Anyone who can’t get their head around the concept of cycling being a team sport should just watch a rerun of Saturday’s epic stage to Alpe d’Huez. From the moment Frenchman Alexandre Geniez attacked on the gun at kilometre-zero to the jubilant snapshot of his FDJ teammate Thibaut Pinot crossing the line to take the biggest win of his career, the penultimate stage of the Tour de France offered a masterclass in tactical racing and teamwork. While FDJ walked away as the day’s winners, it was the magnificent collective effort from Movistar capped by the individual brilliance of their star man, Nairo Quintana, which almost delivered the seemingly impossible. 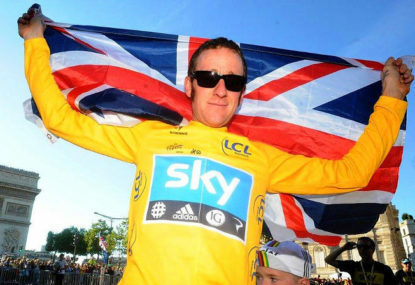 Faced with the prospect of having their pockets picked by a diminutive Colombian after being distracted by a Spanish old-timer, the Sky teammates of Chris Froome rallied to the cause. And although the under pressure race leader “died a thousand deaths” on the final climb of the race, he – largely thanks to Richie Porte, Wout Poels and the lingering after-effects of the crosswinds that caused those splits three weeks ago in Zeeland – did enough to ensure the yellow jersey was not prised from his shoulders atop the race’s most iconic climb. First things first, the stage winners. Quite frankly, Marc Madiot’s FDJ team had experienced a pretty rotten Tour prior to Pinot’s eleventh-hour win. 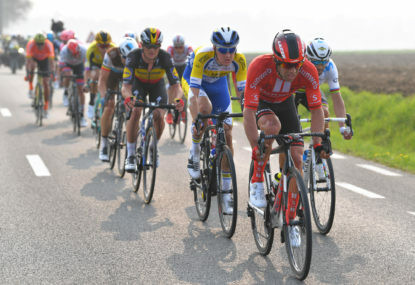 A surprise third place overall in last year’s Tour, Pinot, despite the fanfare, found himself out of the reckoning half way through the first week thanks to those crosswinds and the rider’s implosion on the cobblestones in Stage 4. His head down, Pinot could well have left the race on either of the rest days. Thank God he didn’t. A constant threat in the Alps, Pinot lit up the third week of the race. His over-eagerness, however, saw him commit the cardinal sin of clipping a pedal on a tight bend on the descent of the Col d’Allos – resulting in a meltdown that saw him being overtaken by half a dozen riders before the bottom. Pinot probably would have reeled in Germany’s Simon Geschke and won in Pra Loup had he not fallen – but he didn’t let it ruin the rest of his race. Alpe d’Huez is to climbers what the Champs-Elysees is to sprinters, and Pinot became the third Frenchman in the last five years to win atop ‘Dutch Mountain’. What was incredible about his victory was that had Pinot not been that Frenchman, Geniez might well have been. That’s how well FDJ played their cards. The 27-year-old Geniez finished ninth in May’s Giro d’Italia and is a decent climber in his day. His early move saw him joined by three riders in the break on Saturday – and their gap was up to seven minutes before the Croix de Fer climb. Geniez then put in a brave attack from distance six kilometres from the summit. He buried himself on the descent and along the flat run into Bourg d’Oisans so that he held an advantage of two minutes over his pursuers before the first of 21 hairpins. Among those chasing riders was Pinot after he edged clear on the short uphill segment that broke up the descent of the Croix de Fer. With Geniez further up the road, Pinot was able to sit on the back of the nine-man chase and stay fresh for the final climb. When Pinot and Canadian Ryder Hesjedal joined Geniez on the front of the race, FDJ had two cards to play. His work for the day done, Geniez had one final dig before launching Pinot clear. 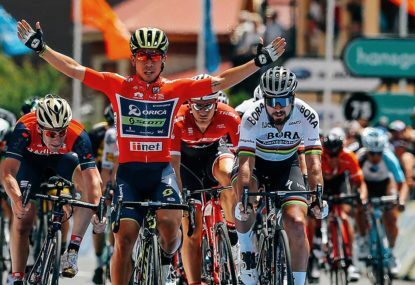 Of course, after Pinot made his decisive dig ahead of Dutch Corner to drop Hesjedal, it was touch and go whether or not the 26-year-old could hold on once Quintana lit the torch paper in yellow jersey group. Movistar had invited much derision earlier in the Alps for their decision to check the attacks by the likes of Alberto Contador (Tinkoff-Saxo) and Vincenzo Nibali (Astana) instead of piling the pressure on Froome’s Team Sky. Many viewed this as the team prioritising their bottom two places on the podium rather than going for the top prize. But Eusebio Unzue, the Movistar general manager, always said that the last two stages in the Alps were going to provide his riders with their most realistic chance of slashing Froome’s advantage. On Friday’s stage to La Toussuire Quintana managed to take 32 seconds off Froome to give him hope of a final-day smash-and-grab. It was now time for part two of the masterplan. Five kilometres from the top of the Croix de Fer, however, and it looked like Movistar were not even going to give it a go. Then came Valverde’s softening attack, which whittled down the main pack ahead of Quintana’s own move. 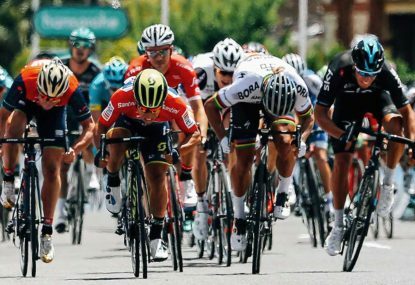 The two Movistar riders isolated Froome and it looked like the race was very much on – until the road flattened out just a little too early. 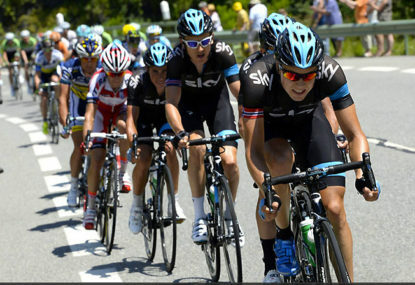 Everything came back together on the long descent, but Movistar had discovered a chink in Froome’s yellow armour. But with Valverde clearly the weakest link in the two-pronged attack, they needed something else if they wanted to pull off their coup on Alpe d’Huez. 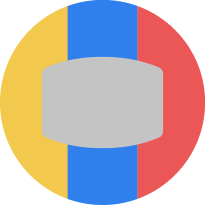 So they looked to another Colombian, Winner Anacona, who forced himself into the counter attack alongside Pinot and Hesjedal. It was a sublime move and meant that Anacona was further up the road when Valverde and Quintana pulled off their pincer movement during the steepest segments early in the final climb. With Froome very much on the rivet, the Movistar duo combined to open up a 30-second lead with 8km remaining when they caught Anacona. The presence of the Colombian meant that when Valverde inevitably tired, Quintana could rely on the pacing of his compatriot while he regained his strength ahead of his next big attack. Meanwhile, Valverde could drop back and sit on Froome’s back wheel and take on the role of the sandbagging Spaniard. Of course, Sky fought fire with fire by putting on their own display of team unity. With Froome suffering more than at any other moment in the Tour, he was able to rely on the “fantastic support” of Porte and Poels. Having both riders to help pace him up the mountain – and to offer protection from the frenzied fans lining the roads – was perhaps what won Froome the Tour. It was arguably just as important in securing the maillot jaune as the brilliance of his own individual stage win atop Le Pierre-Saint-Martin in the Pyrenees. And in a Tour during which the toxic nature of certain pockets of fans has very much dictated the headlines, the presence of a Dutch pedalling policeman in Poels as Froome ploughed through Dutch Corner could not be underestimated. When Poels eventually peeled off after his star role in what was essentially the Tour’s second visit to the Netherlands, Froome was able to rely on the astonishing effort of his tireless friend and teammate Porte. Two years ago Porte copped a time penalty for fetching a bonking Froome some gels on Alpe d’Huez; this year his role over those twisting hairpins was even more vital. “There were moments on the final climb when I really thought I would lose the race,” Froome said after managing to limit his losses so that Quintana only came within 1:12 of his overall lead. Porte may be leaving Sky for pastures new, but his titanic effort on the last climb of the Tour means he leaves on the very best of terms. On a day where individuals ultimately took the plaudits, it was the collective strength behind those individuals which was most apparent on Alpe d’Huez.